Women’s lacrosse coach Scott Teeter faces a tough challenge after the program faced a nightmare of an offseason. The offseason included losing 12 players to transfers and firing former coach Kellie Young. Teeter addressed the challenge by bringing back a key player who left the team, adding four transfers and restocking the coaching staff. Madison Hoover, who left the team in early November, has returned to the team. Hoover played in 20 games last season, recording 19 assists. Transfers depleted the team and cut the roster down to 19 players — with 10 being freshmen. Looking to add depth, Teeter reached out to his former players. Former Canisius players Tessa Chad (attacker) and Brenna Shanahan (defender) have joined Louisville along with two more transfers. Both Chad and Shanahan were All-MAAC First Team selections as sophomores last season. Chad scored 53 goals while Shanahan had 31 ground balls and 27 caused turnovers. The other two transfers are Courtney Deena and Jen Schaaf. Deena, a midfielder, played four years at Maryland. Schaaf, a goalkeeper, comes from Howard Community College in Maryland. The roster is up to 24 and isn’t expected to add anymore with the start of the spring semester. Chad and Shanahan aren’t the only former Griffs joining. Renee Poullott, an assistant under Teeter at Canisius, has joined the coaching staff. A goalkeeping and defensive coach, Poullott played for Cornell (2014-17) and is the program’s winningest goalkeeper. According to Cardinal sources, former Cardinal standout Kaylin Morissette (2013-16) is also joining the U of L coaching staff. An assistant coach with Teeter at Canisius, Morissette is entering her second year coaching. Morissette, a three-time All-American, is the program’s all-time leader in draw controls and fourth in goals. 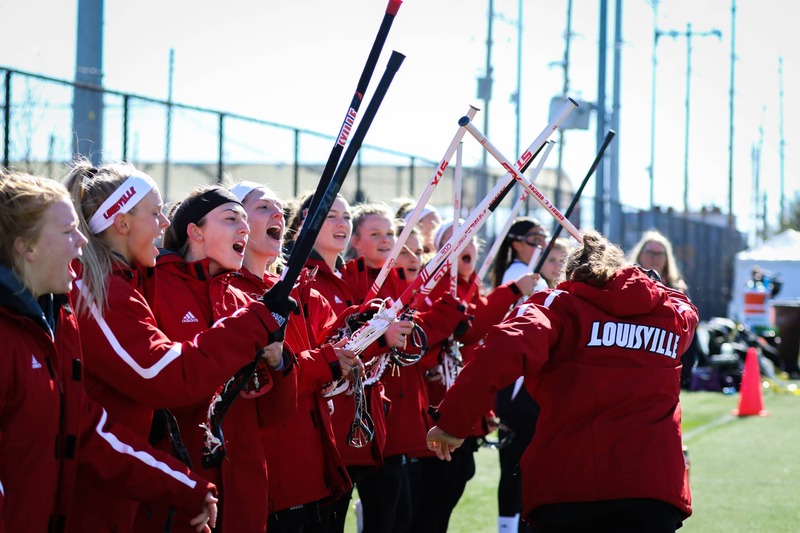 Lacrosse starts their season on the road against Cincinnati on Feb. 9.